Here at PhysioExtra in Richmond, we are all too aware how frustrating it can be if you have been experiencing a long term chronic injury that takes you away from the activities you love. If this applies to you, Extracorporeal Shockwave Therapy (ESWT) might be what you are looking for. The scientific basis of ESWT stems from the technology using acoustic shockwaves to break up kidney stones without the need for invasive surgery. Patients were finding that other unrelated aches and pains were also disappearing after kidney stone treatment. 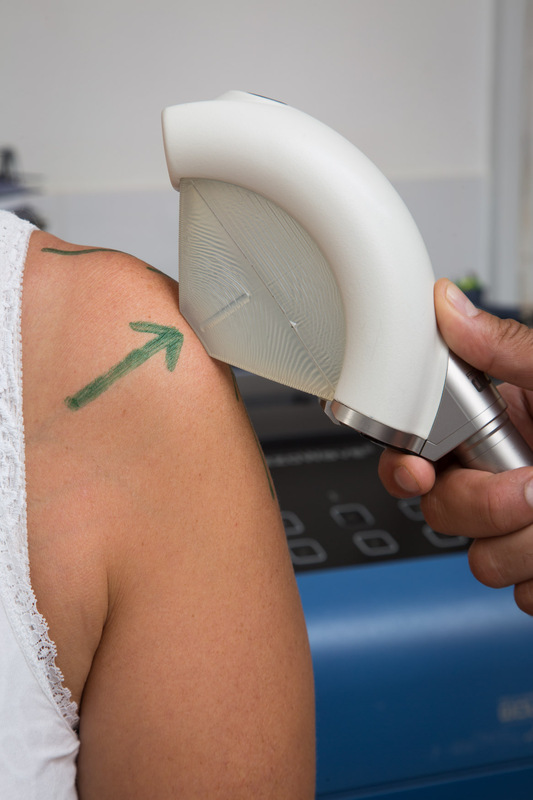 Despite shockwave therapy being used for around a quarter of a century, it is only fairly recently that scientists started to consider shockwaves as a viable treatment to heal other tissue injuries. Specialist machines have now been developed for practitioners to use on other parts of the body; specialised to specifically help to treat musculoskeletal conditions. This is a non-invasive procedure for the treatment of acute and chronic pain of the musculoskeletal system. A shockwave is an intense but very short acoustic energy wave, which travels faster than the speed of sound. Shockwaves are developed outside the body (extracorporeal) and the clinician delivers a repeated compressed air impulse to the target tissue at the point where the pain originates. This treatment initiates a pro-inflammatory reaction within the body, breaking down injured tissue and calcifications. The body responds to treatments by increasing the blood circulation and metabolism, accelerating the healing process. It is a non-invasive, non-surgical, drug-free technique, whose safety is proven following extensive clinical use throughout Europe. The shockwaves are focused onto the area and travel through tissues without damage. Many patients have undergone this type of therapy with a high proportion experiencing major improvements. At PhysioExtra, we use ‘true shockwave’. 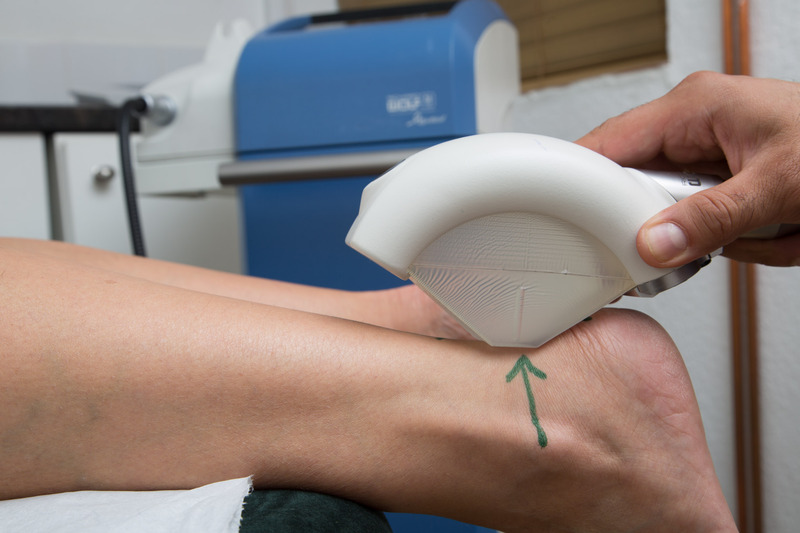 Other centres around London do not use true shockwave but instead use radial shockwave, which is only a pressure wave with a wider field of treatment. This therapy can be better described as Pressure Wave Therapy and does not focus pressure waves to create a shockwave. These waves are slower, less intense and therefore less able to be targeted on a specific tissue. Only with true shockwave can you get a more focused and controlled treatment. 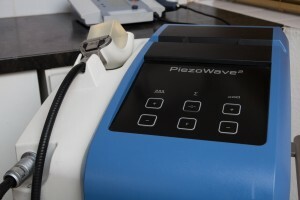 The Richard Wolf Piezo 2 Shockwave Machine, made in Germany, is widely known to be an effective device to provide a better targeted treatment. Patients receiving treatment from this true shockwave device require less treatment sessions than with radial shockwave and after two or three sessions, over 80% of patients report to be pain free or feel a significant pain reduction. Shockwave is usually more effective with a specific treatment protocol, relevant to your current injury. At PhysioExtra your therapist can provide you with a specific exercise and stretching protocol to promote the healing process and improve likelihood of full recovery. If you have been suffering with a chronic tendon injury and all other treatment methods have failed you, contact us now for more information on Shockwave Therapy and how we can help you.